2018. The congress will be attended by the authorities from all around the world and the latest developments in diagnosis and treatment will be addressed. 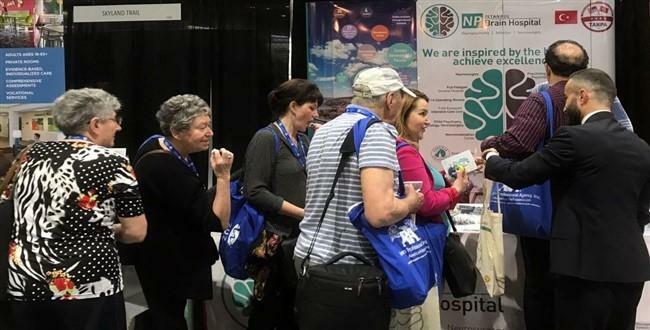 The annual American Psychiatric Association (APA) congress and expo held by the American Psychiatric Association will take place at the Javits Center in New York this year. Üsküdar University and NPISTANBUL Brain Hospital will also participate in this year’s congress, where the latest developments in diagnosis and treatment are discussed. The latest developments in diagnosis and treatment will be discussed in the congress, which will take place at Javits Center on 5-9 May 2018. Director, Faculty Member Serdar Karagöz and International Relations Director, Faculty Member Emre Üçsular will attend this year’s congress and expo. Üsküdar University, NPISTANBUL Brain Hospital and Turkish-American Neuropsychiatry Association (TANPA) will have their own booth in the expo.